As part of the PR offensive, the VvdE (Securities Trading Association) published this brochure in 1955. “The prosperity of our country will immensely benefit from a well-functioning exchange system.” This slogan - here depicted on a 1955 postcard -, which was used by the exchange, was as direct as can be. In 1955, a major event - called Energie 55 (E55) - on ten years of reconstruction was held in Rotterdam. Here, the Dutch business community presented itself to an audience of millions. The Amsterdam Stock Exchange Association was also present with a stand. 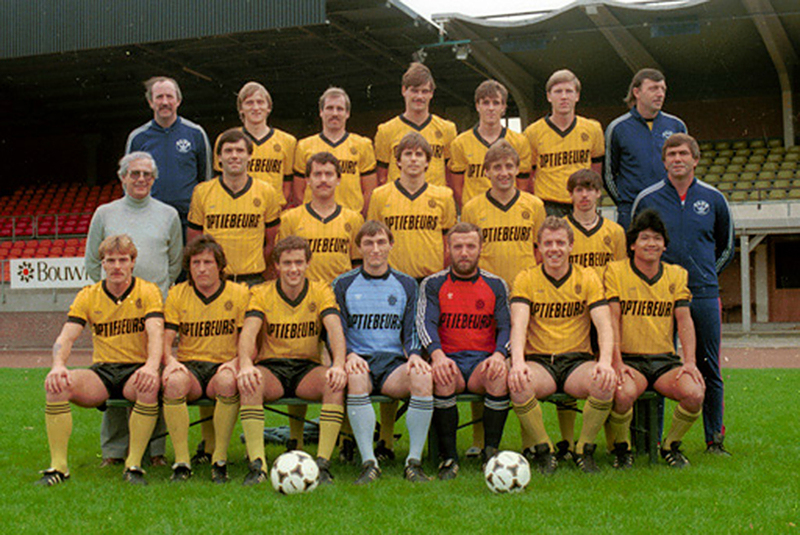 To raise brand awareness among the general public, the options exchange sponsored football club Roda JC in the early eighties. During the ‘initial public offering’ of the VOC, the wealthy residents of the Republic were not the only ones who were buying shares. Among the shareholders were housekeepers, basket makers, carpenters, coopers and even ‘bunglers’. Nevertheless, investing remained a matter of the wealthy for centuries. 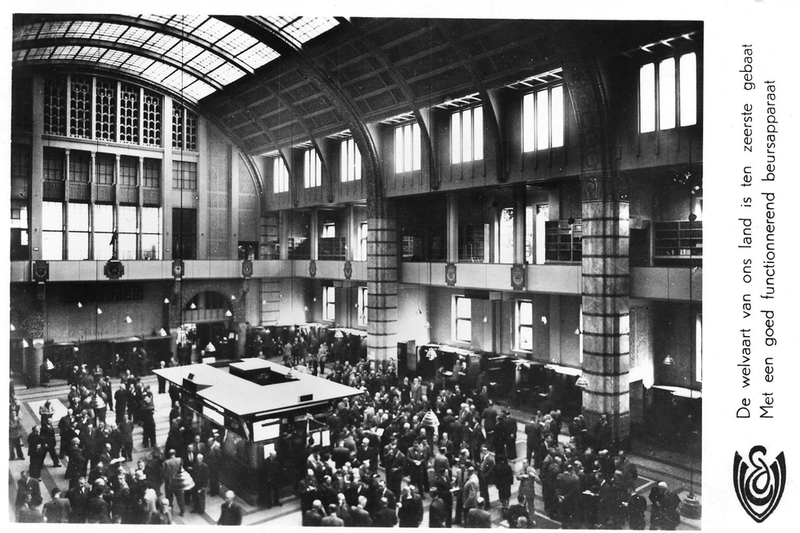 Shortly after the Second World War, the popularity of the exchange reached a low point. In 1955, the Vereniging voor de Effectenhandel (Amsterdam Stock Exchange Association) wanted to change this and bring the stock market to the attention of the general public. What followed was a PR bombardment. Guided tours were being organized on Beursplein 5, promotional materials published, and lectures and presentations provided. Furthermore, the Association encouraged the establishment of investment funds and investment study clubs, and it urged companies to split up their shares (thus effectively making them affordable). All of this was aimed at sparking the interest of ‘ordinary’ citizens in investing while at the same time limiting the distance to the stock market. The establishment of the Options Exchange in 1978 was also an attempt to popularize investing. As private investors could invest relatively small amounts, it was believed that this would break down barriers. Initially, this did not have much effect. Private investors did not understand the new product. Therefore, the board and staff of the options exchange criss-crossed the country, night after night, in an effort to promote the possibilities of investing in options. Eventually, the numerous efforts to make investing popular bore fruit. 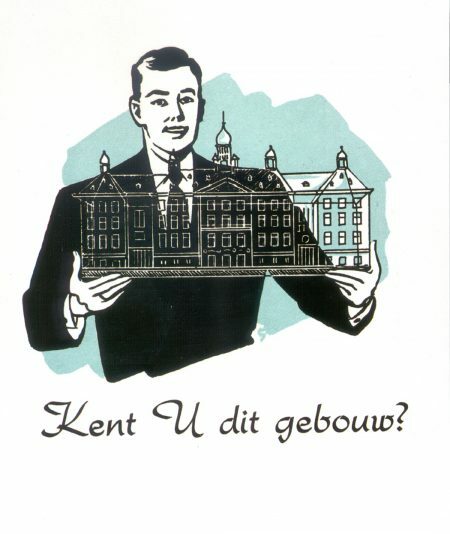 Around the year 2000, approximately a quarter of all Dutch households invested. Additionally, private individuals are also investing ‘indirectly’ through their pension funds and insurances on a large scale. This shows the importance of providing adequate information on investing. Because of the arrival of new players on this scene, nowadays multiple parties besides the exchange provide these kinds of services.